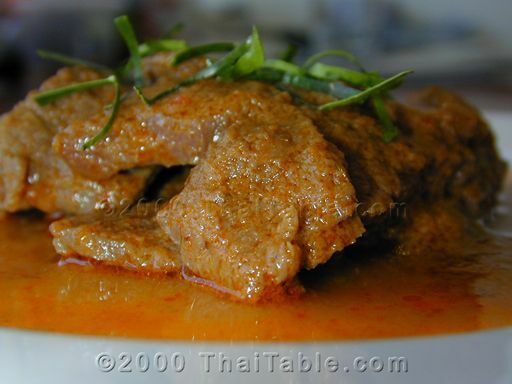 Beef Panang is a dry curry, quite concentrated and not soupy. Typically, it is made with beef or chicken. I personally like the opportunity to use the tough cut of beef, if I was planning on letting it simmer on the stove for a while. Although, it is great with rice, I also found out that left over beef panang tastes great in a sandwich with toasted bread. Quick meal --try your left over panang between two pieces of toast for lunch. Pour 1/2 of the coconut milk in a pan over medium heat. 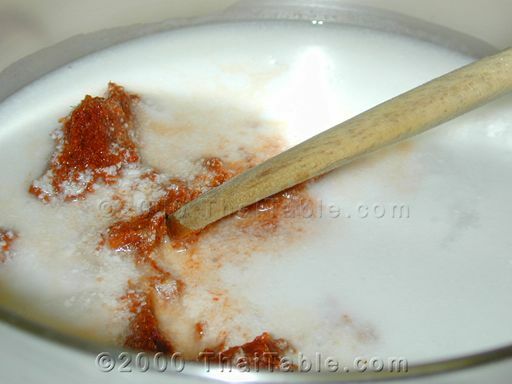 Add curry paste and break it up to mix it with coconut milk. Keep stiring to prevent bottom from sticking and burning. Lower the heat to simmer if necessary. Simmer until red oil appears. Add the beef and stir to coat the beef with the curry paste. Add sugar, fish sauce and the rest of coconut milk. 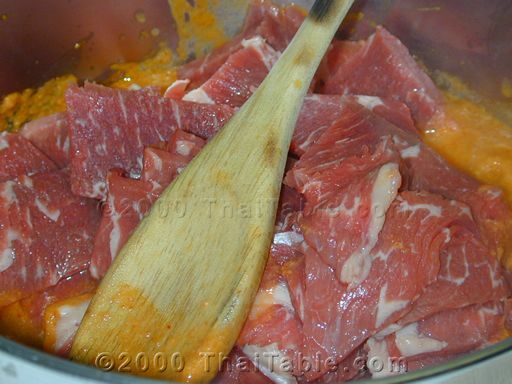 Let it simmer until the beef is tender and the liquid is reduced to a thick sauce. It should take about half an hour to an hour depending on your heat and the cut of meat. Add water if your beef is still tough and let the liquid reduce. 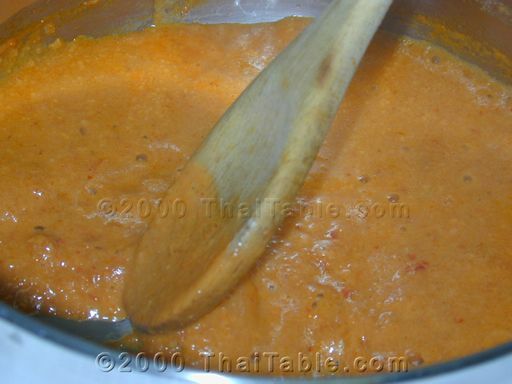 The finished dish should have a small amount of sauce, not soupy. It should have just a hint of sugar. 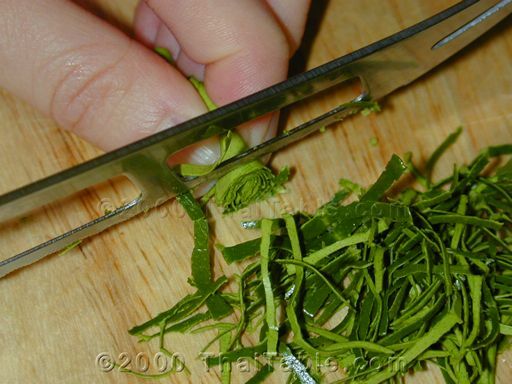 Sprinkle the sliced kaffir lime leaves on top. Serve hot with rice.